Biography written by Tina Ewoma, daughter. 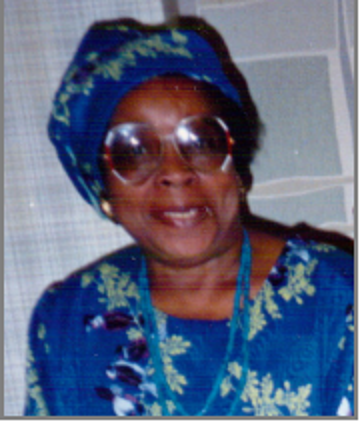 Josephine Maudline Hart was born in the coastal town of Victoria (now called Limbe) in the South West Region of Cameroon on 4 June 1929. Her parents were Gladys Tombise Martin and Jonathon Hart. She had a happy childhood in Cameroon, where in a bid to curtail her tomboy antics, her uncles decreed that if her name were to be shortened, it should be shortened to ‘Phina’ rather than ‘Jo’. Secondary education was limited to girls in Cameroon at that time and so it was that ‘Phina’ left Cameroon for Nigeria for her secondary school education. She attended St Theresa College, Ibadan. On leaving school she trained as a librarian and worked for the British Council Library in Lagos. Here she excelled. She was the Assistant Librarian and her work was so well thought of, that the British Council sent her to England for six months for further training. On her return to Lagos, she introduced many initiatives for the training of librarians across Nigeria, in collaboration with expatriate staff at the British Council. Her main preoccupation was to get children interested in reading, thus she focused on the children’s section, organising educational groups for children to learn how to use the library. As well as that, she taught young Lebanese children. She returned to the United Kingdom to train as a midwife at Cardiff School of Nursing and Neath Federal Hospital. As a qualified mid-wife, she worked at St Mary’s nursing home. Mum had an active in interest in political events in Nigeria. 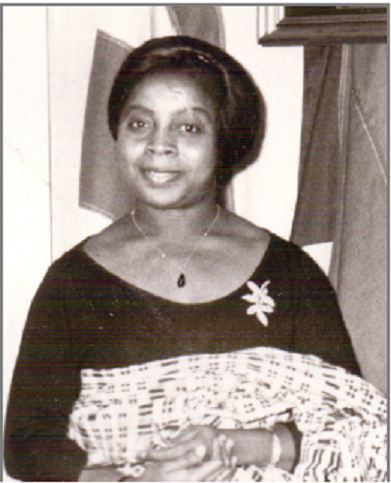 During the 1960s she was a founder member of the Rivers States Union. She campaigned tirelessly for the Unity Party of Nigeria leading up to the 1979 general election, being Chair of the London Branch of the Party. Sadly, Nigeria was not ready for a centre left government at that time. 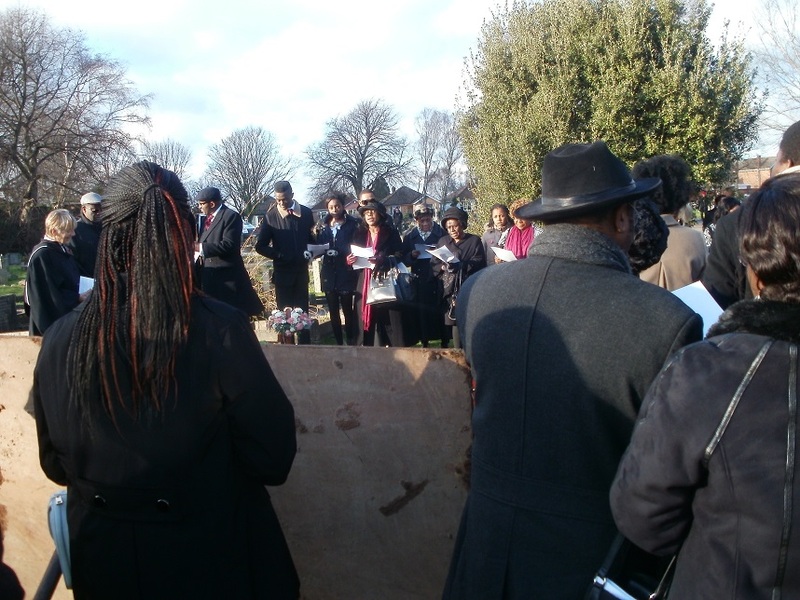 Throughout her life in London, Mum attended Saint Andrews United Reformed Church, in Salusbury Road, Kilburn and was extremely proud, when she was made an elder of the church. On her retirement, mum took an active interest in the education of the children of her sisters and cousins. Researching suitable boarding schools and advising on which she thought the most appropriate for their needs. As the guardian in the United Kingdom, she maintained contact with respective head teachers across the country. The flat was more than a place to stay; mum took an active interest in the welfare of the young people; helping with homework, listening to the worries that concern every teenager / young adult and generally doing all that she could to ensure that they coped with being far from home. That love and concern was extended to all that she knew. Mum made frequent unannounced visits bearing gifts to those who had either; just set up home, were newly married, had become new parents or simply because she thought someone would appreciate seeing a mother figure or friendly face. Mum passed away on Thursday 5 December 2013. She is survived by me, her daughter, her grandchildren, sisters, cousins and friends.